Defend Greece, or just your living room. These mini Spartan Helmets are extremely accurate rendition period pieces. These stand 8 inches on the stand. The stand is made of wood or metal . 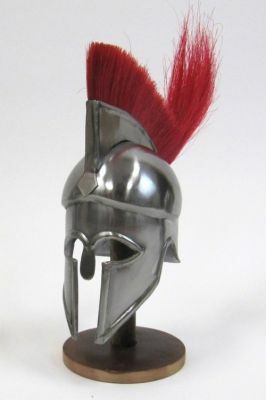 The helmet is the authentic shape of a true Spartan warrior. It is made of stainless steel. It has the true plume of the Spartan warrior. 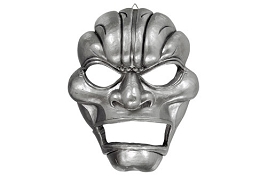 Excellent Replica for your decor or a gift. This Spartan Helmet is exactly what I was looking for. Perfect size for a desktop display. Stunning Quality. The only downside is the stand is on the small size if you wish to add another engraved plaque. Overall completely impressed with the quality and care put into making this item.